He was the man who defied the tide of opinion by arguing that more money should be spent on defence. He talked about the “exportability” of the UK’s defence industry and restoring the country’s naval shipbuilding heritage to ensure a “strong Royal Navy”. At the UK Defence & Security Equipment International exhibition at London’s Excel Centre in September, former Defence Secretary Sir Michael Fallon, spoke about a growing defence budget and investment in the latest technologies for the military including laser weapons, robots for bomb disposal, active protection systems for armoured vehicles and machine learning and artificial intelligence to crunch the data from sensors on board vehicles. After years of defence budget cutbacks under the former Prime Minister David Cameron, Fallon felt he was righting the ship and getting defence spending back on track in terms of meeting NATO’s 2% of GDP spending target. On his watch the UK defence budget steadily increased from £34 billion in 2015 to £35 billion last year, and £36 billion this year. In 2017, it is scheduled to increase by another £1 billion. Fallon 's reputation was riding high following the launch of the Royal Navy’s largest ever warship, the 65,000 tonne HMS Queen Elizabeth aircraft carrier, which entered her new home in Portsmouth for the first time during the summer. His announcement of the National Shipbuilding Strategy in September, marked a renaissance in the UK’s shipbuilding heritage with an ambitious procurement programme comprising next-generation Dreadnought submarines; Type 45 destroyers; and a flexible and adaptable general purpose light frigate, the Type 31e, which would be designed from the outset for export. But now, Fallon has resigned from his post as UK Defence Secretary following allegations of inappropriate behaviour and he will not get to see most of the projects he once lauded come to fruition. 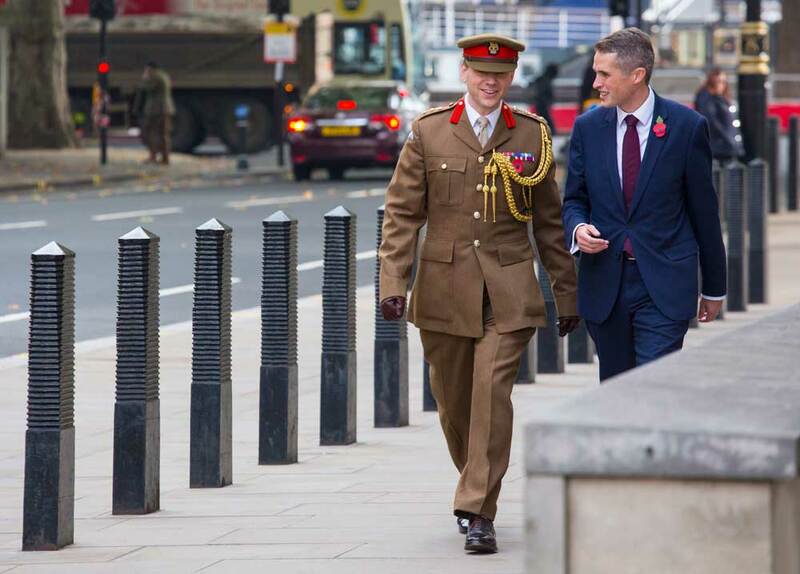 The announcement that Prime Minister Theresa May’s chief whip Gavin Williamson, would replace Fallon, who served as Defence Secretary from 2014 to 2017, was greeted with scepticism by members of the government and former members of the Armed Forces. 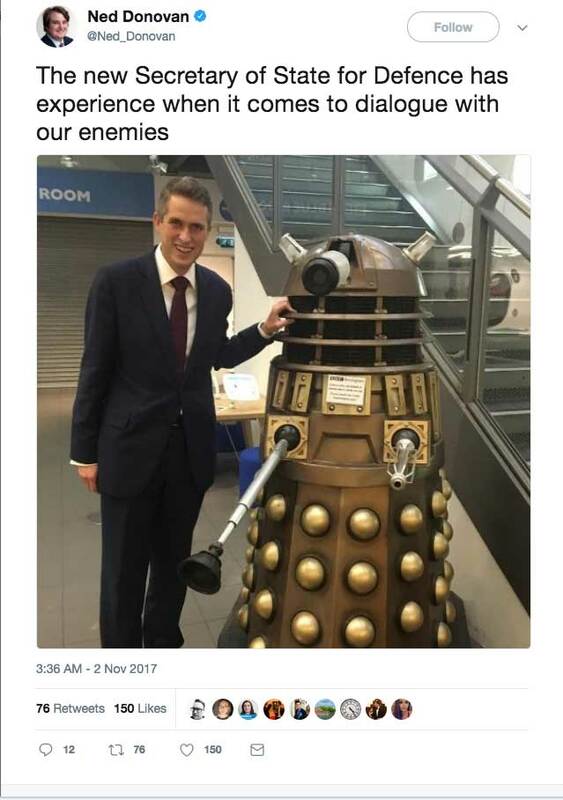 Not much is known about Wiliamson other than that he was elected Conservative MP for South Staffordshire in May 2010 and was Chief Whip (Parliamentary Secretary to the Treasury) from July 2016 to November 2017.Williamson has no cabinet experience; he’s never run a government department and has no links or direct knowledge of the military. Given his inexperience, the question is will Wiliamson want to make his own mark on the defence portfolio or meekly follow in Fallon’s footsteps. Lord Dannatt, the former head of the Army, reportedly told the Today programme that May should appoint a Ministry of Defence insider as Defence Secretary. Having an “inexperienced defence secretary,” he said, was not ideal at a time when there are some big decisions to be made in defence, such as appointing a new chief of defence staff. Cabinet posts are often viewed as a career stepping stone for most politicians, and whilst Defence Secretaries are rarely ever popular with the Armed Forces they serve—most in the last few years have presided over considerable cuts in defence equipment spending and personnel—Fallon, at least, gave the impression that he wanted to see the UK’s military might, influence and technological prowess on the global stage restored following years of cutbacks. 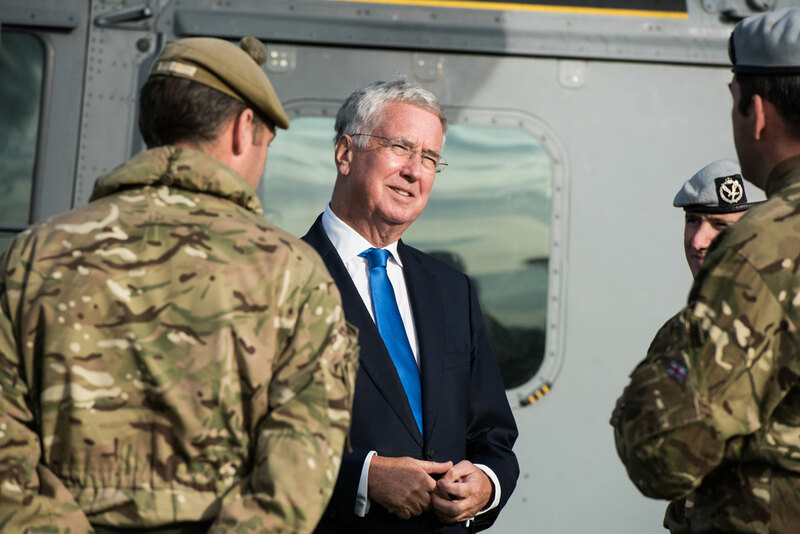 In challenging economic times, defence can be one of those portfolios that is an obvious target for cutbacks, unless you have a Minister, like Fallon, who continued to make the case for sustained investment in equipment and training. Since the drawdown from Afghanistan, the British Armed Forces have had to contend with the shift from counterinsurgency to the prospect of facing a more sophisticated opponent, in the form of Russia. With the largest amassing of NATO forces on its eastern flank since the Cold War, UK armoured infantry battalions are currently operating alongside Estonian Forces in Tapa, Estonia. Estonia fears a resurgent Russia could attack it at any time. UK Armed Forces are also advising Kurdish Peshmerga and Iraqi Armed Forces as they look to drive out Daesh (Islamic State) from Iraq and Syria. Williamson may acknowledge the importance of these international missions, but his biggest challenge will be how to manage the budget shorftall in the Ministry of Defence’s Equipment Plan, due to a weaker pound post-Brexit, and the fact that Armed Services personnel numbers are already stretched to breaking point following years of cutbacks. The arrival of two new aircraft carriers, HMS Queen Elizabeth and HMS Prince of Wales, has only served to exacerbate the staffing issues. There are also ongoing issues regarding defence equipment upgrades and delivering on the defence acquisition and logistics impact of the UK’s new Strike Brigades concept announced in the 2015 Strategic Defence & Security Review (SDSR). Some of the equipment for the Strike Brigade infantry battalions; the Mechanised Infantry Vehicle; have yet to be selected and delivery schedules announced. UK arms exports to countries like Saudi Arabia have also come under increased international scrutiny because of their use by the Saudis in Yemen, resulting in significant civilian casualties. All this serves to highlight is that Defence is a complex and multi-faceted portfolio, and with the UK Ministry of Defence under pressure to reform defence acquisition processes, cut back on cost overruns, whilst ensuring the Armed Forces remain a relevant and powerful force to address an ever-evolving array of hybrid threats, Williamson will have to get to grips with his new portfolio relatively quickly, or risk losing the respect of the men and women whose best interests he is meant to be serving.